Kigali Genocide Memorial Centre. Image credit Trocaire via Flickr. 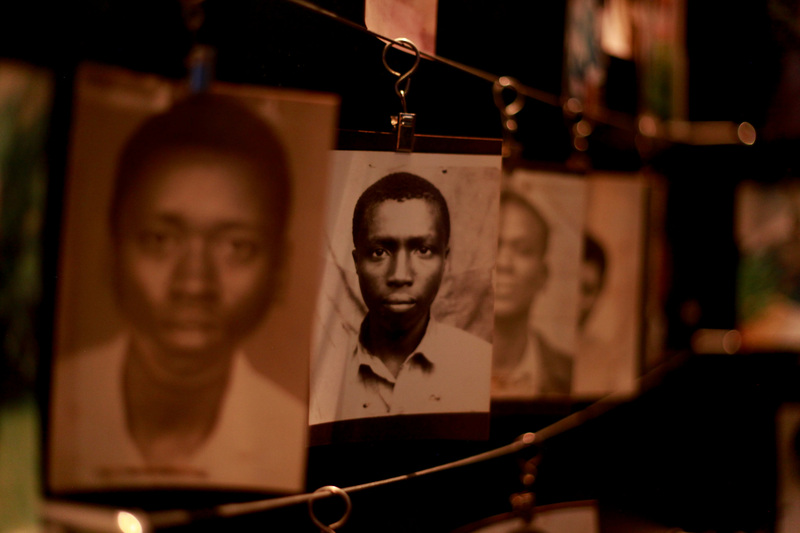 Of the many unresolved issues surrounding the 1994 mass killings in Rwanda—over a three-month period between April to July 1994—that resulted in the loss of at least 650,000 Tutsi lives, and many more Hutu lives during and after the carnage—the extent and circumstances of France’s involvement in the slaughter is one of the most contentious. Among students of Rwanda only the most naïve or outrageously biased would deny the responsibility of French policy makers in the chain of events leading to the abyss. Just how much blame can be put at France’s doorstep and why is where opinions differ. At the risk of oversimplifying the terms of debate, at bottom the principal source of discord is between those who would exonerate the French government of all intended wrongdoing, while recognizing that mistakes were made, and those who would not hesitate for a moment to denounce France’s deliberate and substantial political, military and financial assistance to the Rwandan armed forces and youth militia. It is worth revisiting the context for the mass killings, how historians and researchers have dealt with it since and, finally, the necessity of casting a revisionist eye on France’s role in the violence. France’s military thrust is traceable to the invasion of Rwanda by the Tutsi-led Rwandan Patriotic Front (RPF) on October 1 1990. Until then military cooperation between France and the Rwandan state was limited to the standard bilateral assistance agreement that served as a model for France’s relations with her former colonies, which ruled out the possibility of a direct role in the “preparation or execution of war operations.” From 1990 to 1994 France’s outright military intervention came into focus. Under the code named Opération Noroit two companies were sent to Rwanda, officially to protect the lives of French citizens but in fact to provide military assistance to the ill-trained, 7,000-strong Rwandan Armed Forces (FAR). Military assistance on a larger scale soon followed, accompanied by short-lived interventions by Belgium and Mobutu’s rag-tag army. Neither stayed on long enough to make a difference. If anything, Mobutu’s army proved a far greater danger to the civilian populations they were expected to protect, than did the RPF. Anxious to convey the seriousness of the threats posed by the invaders, and by the same token to persuade the French to expand their military presence, on October 4/5 the hardliners in the Habyarimana government in Rwanda staged a fake attack on the capital. (For a fuller discussion of these events, see Gérard Prunier’s 1995 book, The Rwanda Crisis. History of a Genocide published by Columbia University Press). This thinly-veiled masquerade became a convenient pretext for rounding up thousands of Tutsi suspects. In response, the number of French boots on the ground reached some 600, later rising to as many as 1,100 at one time. As the conflict intensified France’s military cooperation, officially known as the Détachement d’assistance militaire (DAMI), went on to assume important operational responsibilities, including manning artillery batteries, the interrogation of prisoners, and training of army and gendarmerie (police) units. Like most other observers, France reacted to the news of the genocide with a sense of shock and disbelief. But its support for its client state remained undiminished. While hinting at suspicions of Anglo-Saxon perfidy mediated through the Uganda-assisted RPF, the French government repeatedly stressed the imperative of protecting an independent state against foreign aggression, a plea to which the UN, the United States and Belgium remained distressingly unresponsive. While the UN military mission to Rwanda (UNAMIR) was reduced by almost 90 per cent to 270 men, Belgium withdrew its participation in UNAMIR and the US responded to a UN request for vehicles by insisting first on payment. Finally yielding to mounting domestic and international pressures to stop the killings, in June 1994 France, acting in conformity with a UN resolution, took the initiative to lay the groundwork for a new 3,500-strong military intervention aimed at protecting the lives of civilians. This time code-named Opération Turquoise, the operation was to be strictly humanitarian, should not exceed two months on the ground (June 22-August 21), and should not constitute an interposition force between parties to the conflict. Acting under Chapter VII of the UN Charter it was authorized to use all necessary means to fulfill its mission. The immediate aim, operationally, was to establish a toe-hold in northeastern Rwanda around which to establish a safe-haven zone (SHZ) to help save Tutsi lives. This was the second time since the beginning of the genocide that French troops were called upon to intervene. The first occurred during the first week of the killings, when, under the so-called Operation Amaryllis, some 359 paratroopers were sent out to protect and evacuate French citizens, but this did not prevent the evacuation of several high-ranking Rwandan officials closely associated with the Habyarimana regime. Although Turquoise operated under very different terms of reference, both became the target of considerable criticisms, the first for turning a deaf ear to the pleas of scores of hapless Tutsi employees at the French Embassy and Cultural Center imploring protection while at the same time making every effort to rescue some of Habyarimana’s closest relatives, all of them deeply involved in the killings; the second for allegedly facilitating the passage to the Congo of thousands of génocidaires anxious to escape the avenging arm of the RPF, and failing to save more than a relatively small number endangered Tutsi lives. With the creation of the International Criminal Tribunal for Rwanda (ICTR) in November 1994, another source of discord was added to the international context. From the outset the Office of the Prosecutor (OTP) had been mired in corruption and incompetence, in addition to accusations of favoritism and miscarriage of justice. Although the ICTR mission was to “prosecute those responsible for genocide and other serious violations of humanitarian law committed in Rwanda and neighboring countries by Rwandan citizens,” it failed conspicuously to prosecute war crimes and crimes against humanity committed by the RPF. That the RPF killed thousands of innocent Hutu civilians during and after the genocide never registered on the ICTR radar. Despite initial gestures by the Swiss Prosecutor Carla Del Ponte to bring to justice RPF officers suspected of human rights violations, the cases were not prosecuted, from all evidence because of US pressure. Consistent with the record of his predecessors the last Prosecutor, Hassan Jallow, also failed egregiously to bring indictments against RPF soldiers suspected of crimes against humanity. Especially noteworthy, the report made it a point to note (a) that since responsibility for the killings was widely shared there was no basis for singling out France as the sole actor to be held to account, and (b) that only by taking into consideration the context of the tragedy could one grasp its full complexity. Despite the many books, reports and articles dealing with the roots of the Rwandan genocide, much of the evidence on France’s role is controversial. The impression one gets going through the literature is one of a long-running polemical debate between those who tend to view France as a blameless victim and those who see it as the incarnation of hypocrisy. In fact, the picture that emerges is surrounded by many shades of grey—except for one basic question about the precipitating event behind the killings: Who is responsible for shooting down the plane carrying the presidents of Rwanda and Burundi from Dar-Es-Salaam to Kigali on the evening of April 6, 1994? Kagame’s next step was to appoint another so-called “independent commission,” this time to investigate “the causes, circumstances and responsibilities involved in the attack against the presidential plane on April 6, 1994.” This report, known as the Mutsinzi report, issued in April 2009, went to great lengths to show that the presidential plane was brought down by extremist Hutu elements close to Habyarimana, as an attempt to neutralize the “moderates” in his government, including Habyarimana himself. All facts pointing to Kagame’s responsibility were conveniently ignored. Though deeply flawed by a number of factual errors, inaccuracies and improbable assertions, the report found a receptive echo among several observers of the Rwandan scene in France and abroad. The scantiness of the evidence notwithstanding the notion of a criminal plot concocted by Hutu extremists is still the standard explanation advanced by a number of journalists, historians and genocide scholars. The names of Patrick de Saint-Exupéry, Francois-Xavier Verschave, Stéphane Audoin Rouzeau in France, Daniela Kroslak in the US, and Gerald Caplan in Canada immediately come to mind on the side of the Mutsinzi thesis; the opposite viewpoint is perhaps best represented, albeit with notable nuances and reservations , by Pierre Péan, André Guichaoua and Rony Brauman in France and Filip Reynjens in Belgium. Adding to the intensity of the debate, a number of NGOs took up the same contradictory positions. Given the sensitivity of the issues at stake, and the risks involved in challenging the official viewpoint, it is easy to see why few Rwandan scholars within or outside Rwanda have taken part in the debate, and why the participants are limited for the most part to European and American interlocutors. If France’s role in the Rwanda carnage is a fraught subject this is not just because of the difficult questions it raises but because of the radically different answers they’ve received from journalists, social scientists, government officials and international civil servants. The following lie at the heart of ongoing controversies: Granted that the number of Tutsi victims reaches anywhere between 600,000 and 700,000, what would be a reasonable estimate of Hutu lives lost during the same period? What is the rationale for speaking of a “double genocide,” to use President Mitterrand’s phrase? 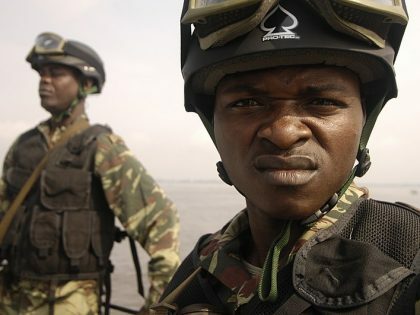 What is one to make of the allegation that France connived with the FAR during Operation Turquoise, going so far as to help the génocidaires flee into eastern Congo? And if the brief held against the French government deserves to be taken seriously, what of the share of responsibility borne by others? On the basis of recent research there is reason to believe that the number of Hutus killed during the genocide approximates half a million. This includes losses caused by intra-Hutu conflicts and casualties inflicted by RPF “refugee warriors.” To this must be added some 180,000 Hutu killed by RPF exactions after the genocide officially came to an end on July 4, 1994, and anywhere from 20,000 to 50,000 victims of cholera. The highest number of Hutu victims, however, occurred between 1995 and 1998, when the RPF, joining hands with the Congolese rebels affiliated to the Rwanda-sponsored Alliance des Forces Démocratiques pour la Libération du Congo (AFDL), engaged in a systematic killing of hundreds of thousands of Hutu refugees in eastern Congo. In the absence of precise figures the foregoing must be taken as estimates, but the conclusion that emerges is of a far greater number of Hutu victims than most observers are willing to admit. A more useful approach, it has been suggested, is to refer to mass murders or mass crimes. Besides reducing definitional ambiguities the phrase would certainly be applicable to the mass atrocities committed by the FPR during and after the genocide of Tutsi. Nonetheless, the double genocide thesis cannot be dismissed out of hand. As Judi Rever’s recently published blockbuster makes plain (In Praise of Blood, Random House Canada, 2018) the evidence in support of a FPR-sponsored genocide of Hutu is overwhelming; the sources she mentions are entirely convincing; and the range of chilling interviews from scores of FPR defectors leaves few doubts about the scale of the atrocities committed. The critical point to bear in mind is that unless the crimes committed by the FPR are taken into account it is impossible to understand the reciprocal dynamic of Hutu-Tutsi violence. Nor indeed are the prospects of Hutu-Tutsi reconciliation likely to get any brighter unless representatives both groups are held responsible for the crimes they have committed. As for the accusations directed at the French for shirking their obligation to protect during the Turquoise Operation, the evidence is far too fragmentary to be conclusive. Just as doubtful is the notion of a French plot to help key génocidaires to seek asylum in the Congo. Although estimates differ about the number of Tutsi lives saved, there can be no doubt that thousands were rescued. As for the accusation that the French gave Hutu extremists the protection they needed to cross into the Congo, anyone familiar with the region knows that the sieve-like quality of its border makes it relatively easy to walk across it. French aid in these conditions would have been superfluous. A more serious charge, fully substantiated, is that arms deliveries to FAR via the Congo occurred long after the genocide began, courtesy of French officials and bankers. Even more damning France turned out to be the only state to recognize the murderous interim government of Jean Kambanda in the days that immediately followed the beginning of the killings. Subsequent efforts by Mitterrand’s diplomatic advisor at the time, Hubert Védrine, to justify this decision comes across as shamefully hollow. Tempting as it may be to reduce France’s responsibility to a morality play, whether as the incarnation of evil or a symbol of good intentions gone awry, a closer look at the evidence suggests a more complex story. Perhaps the most telling of France’s sins is that of omission. Although it more troops on the ground than any other state—and enjoyed a particularly close economic and political relationship with the Habyarimana regime—at no point was any attempt made to stop the killings. An early military intervention targeted at the génocidaires manning the roadblocks could probably have brought the killings to a stop. This is what neither the French embassy nor Mitterrand and his advisors, nor his prime minister was willing or able to do. This is where France bears the heaviest responsibility. But it is only fair to add that France was not alone in shirking its moral obligation. Neither Belgium—with over a thousand troops on the ground, but refused to intervene—nor the US—which had 600 marines on standby in Burundi—or the UN for that matter, can be exempted of blame. One only needs to recall that it was the UN Security Council, under pressure from Belgium, that took the fateful step of reducing its military presence in UNAMIR (United Nations Assistance Mission in Rwanda) to a fraction of its initial strength, and this precisely when its full strength was most urgently needed. No less astonishing is how little was done by the Clinton administration to intervene constructively, by word or by deed, to assist in halting the bloodshed. Not only did the US resist calling the killings a genocide, splitting hairs over acts of genocide as distinct from genocide; it declined the UN request for vehicles for as long as would be needed before payment was made, irrespective of the costs in human lives. Again, the direct or indirect pressure exerted by the US to exonerate RPF suspects from judicial pursuits by the ICTR can only be seen as an unwarranted interference in the activities of Prosecutor’s Office. France, for its part, interfered in Rwanda’s deeply conflicted arena in a number of ways. To look for proof of French direct participation in the killings is a non-starter. Where France bears the heaviest burden is in the persistent and unconditional political and military support it gave to the Habyarimana government and its successor interim regime. Nothing could have done more to boost the morale of the killers; besides raising expectations of international support, French assistance gave a new lease on life to the death squads, if only by failing to intervene, in effect allowing their killing spree to last as long as it took to wipe half a million lives off the face of the earth.